Արեցի, TestDisk -ը տեսավ դիսկը,enter արեցի վրեն (մի 30 մնաց ոնցոր կախած լիներ) հետո analyse տվեցի գրեց Partitin: Read error սղմեցի Quick Search ու արդեն մի կես ժամա էլի լռվածա: Արժի սպասել կամ ուրիշ utility փորձել ? Ուրեմն testdisk -ով զագռուզկա եղա, դիսկը գտավ փարթիշններն էլ հետը: Սկան արեցի հետո Write: Windows - ով 2 փարթիշն ճանաչեց, բայց չի թողում, որ բացեմ ` отказано в доступе: Հիմա, որ testdisk - ով list եմ տալիս բոլոր պապկեքը ու ֆայլերը բերում ա, ոնց կարամ դրանք copy անեմ external hdd - ի վրա? Փորձեցի copy անեմ ասում ա Copy failed! Press and hold the Shift key on your keyboard and click the Restart button. 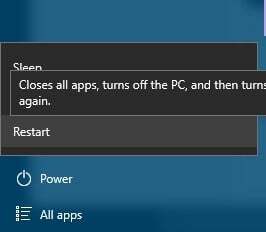 Choose Troubleshoot > Advanced options > Startup Settings and click the Restart button. When your computer restarts you’ll see a list of options. Press F7 on your keyboard to select Disable driver signature enforcement. Your computer will now restart and you’ll be able to install unsigned drivers.